There are millions of internet users right now that have their own personal blogs, or are interested in developing one soon. There are plenty of companies in the marketplace that will host a users blog for free, which, generally speaking, looks like a terrific deal. But like anything else in the world that's "free", there are drawbacks. Users that go the 'free' route don't really own their own blog. The blog is the property of the company that sponsors it. It is their domain and platform, and have very specific guidelines as to what software the user can incorporate into the blog, blog content, and scripts that can be used, among many other restrictive policies. Any deviation from their set policies, and the account could be suspended, and the blogger could lose all their hard work accomplished. And if the blogger should make a big success of their blog, they wouldn't even be able to sell it, as they wouldn't own it. For anyone that is interested in putting anything at all out on the internet, the best, most wise move they should make is to get their own domain name. Having their own domain name gives immediate credibility to the site. The confluence of scammers, spammers, and those who post less than appropriate content on the 'free' blog sites have forever tainted those sites in terms of credibility out in the internet world. People that have an established domain name are trusted immeasurably more than those who post for free. When someone has their own domain name, they have much more flexibility. They have complete control in what content they elect to put on their site, as well as what software they wish to integrate, the setup of the site pages, any special scripts that look especially good to the user, and other such variables. They don't have to 'tiptoe' around their own site, worried about anything and everything they wish to do on their own site, lest their blog owner pulls the rug out from underneath them and suspends their blog. There are many companies on the internet where individuals can go to buy domain names. It would be best, at this point, to look for the company that offers the most customer trusted, reliable services at an affordable price. There are seemingly endless options when it comes to choices people have in choosing their domain name. 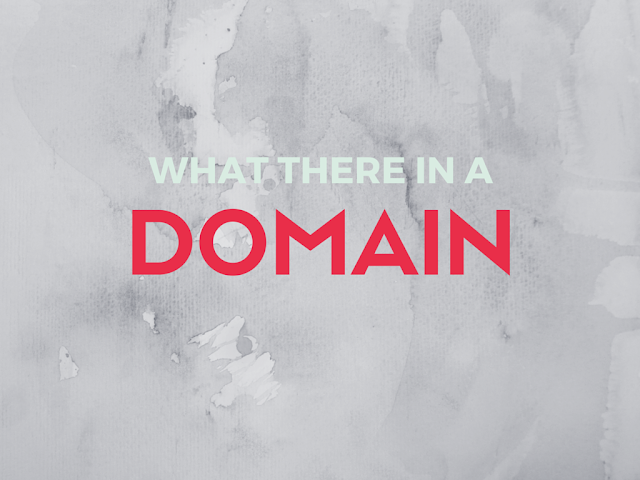 Quite simply, it can be whatever they want to call their domain, followed by a dot something. This 'dot something' can be of great benefit in directing traffic to that domain. For example, a car dealer could use his dealership name, followed by .auto, .cars, or .car. The ideal company to buy a domain name from will offer new domains, premium domain names, expired domain names, and top domains, as well as other options the customer can look into. The best move anyone who posts on the internet can do is to get their own domain name. Finding the right company who sells domain names, and helps them set the site up, can be the most important step a blogger can take.